Resin baseball glove on a black marble base, makes a great presentation to display a baseball. 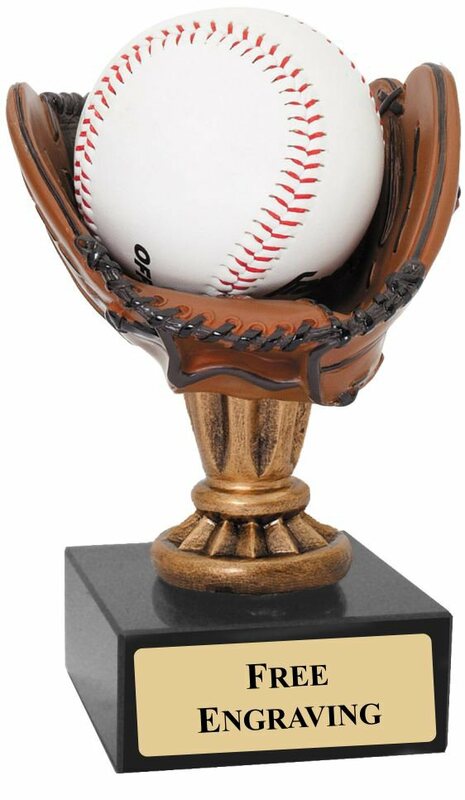 Award your players with this nice trophy. 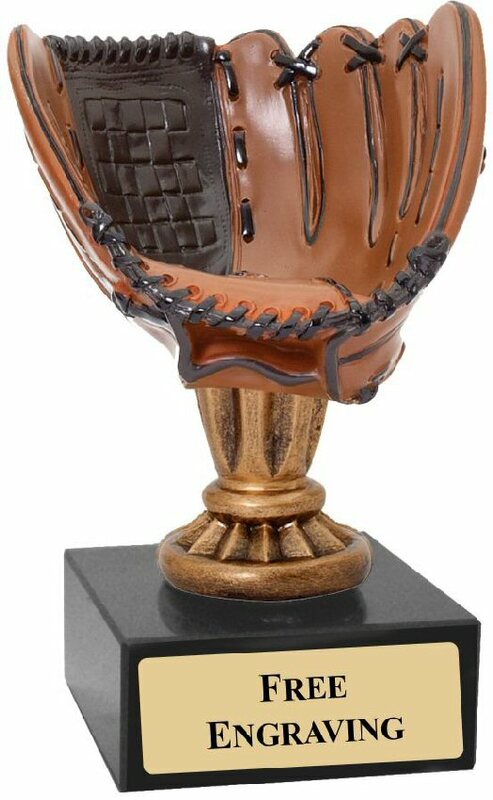 Three lines of free engraving on a gold plate are included to make this award special. * baseball is not included.